In financial circles, a “unicorn” is startup that reaches a $1 billion market cap, so named because of its apparent rarity. In some self aggrandized illusion, nascent entrepreneurs have so overused words like “unicorn” and “disruptive” to describe their business concepts that they are becoming meaningless. The fact does remain that when the financial industry adds the tag “unicorn” to a startup, it indeed has reached the $1 billion mark. 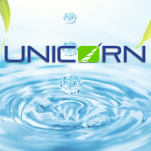 Although Unicorn, Inc, my current startup, is certainly destined to become a financial unicorn, the corporate name wasn’t chosen as a bombastic attempt to naively identify this startup as a financial unicorn. Mythological unicorns are different from financial unicorns. They are they only creatures that used their immense strength to protect others! The unicorn horn could heal sickness, detect poison in food and water, and render the poisons harmless. Throughout the ages, unicorns have been revered and respected as strong but gentle creatures of grace that use their magical powers for the greater good. Kings and emperors believed that unicorns were the source of their strength, vitality and longevity. 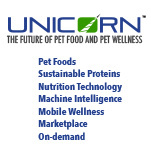 As a new disruptive pet care company, Unicorn Inc. was founded on the same benevolent principles of doing good for all of the companion animals around us. 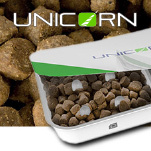 From our dozens of product, process and technology inventions that monitor a pet’s nutrition and every day health, to our line of super premium dog and cat foods (based on eco-beneficial meat-alternative proteins), we’ll show that the magical health and healing powers of the unicorn are no longer a myth. The series of posts under this category is a journey – from conceptualizing this company, to defining objectives, and memorializing the many course-correcting decisions along the way. While the “secret sauce” of this startup is something that may be the topic of some future articles, this category will nevertheless show the blueprint for building Unicorn, Inc. I spent the past three years starting Unicorn, Inc. quietly, doggedly focused on building a robust, strategically important patent position for my startup – now with about three dozen patents in the works. Cuban is undoubtedly referring to gizmo patents on all of those “next generation” lemonade stand startups pitched on Shark Tank, but in an interview with Gene Quinn at IPWatchdog.com, it does remain clear that Cuban is one of many anti-patent investors (except when he invested in Vringo’s patents to sue Google for infringement). 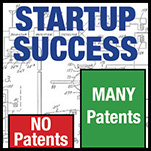 Despite the anti-patent position that Mark Cuban and many other VCs take regarding investing in startups with versus startups without patents, the fact is that startups that strategically develop a patent position earn a HUGE value premium at every phase of the business – from startup, funding, and through to an exit. Early patent ownership DOES predict the success of a tech hardware startup (software startups being different animals) as the following data indicates. And some VCs recognize patent value in their startups. Those with the most patent-focused companies in their portfolios a few years back are DAG Ventures (59%), Menlo Ventures (57%), and Kleiner Perkins (56%). 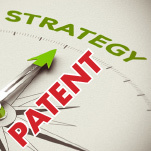 Are patents a good signal for VC investors? 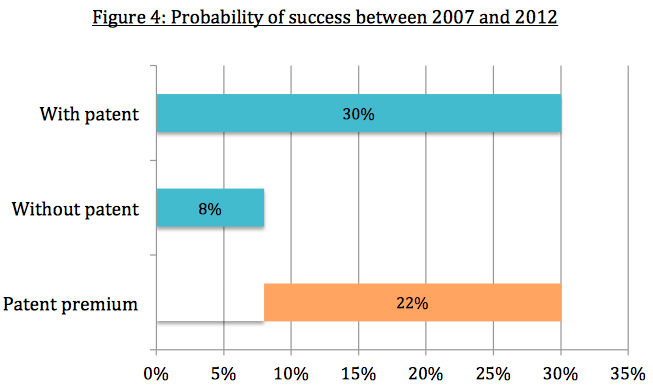 Is there a link between patent positions and the probability of success? I’m more of a data-driven startup guy than an emotion-driven one; I follow the data, and as Techcrunch says, I “[f]ile early, and keep quiet” … until now. Patents were also found to be more relevant to obtaining Angel and “friends and family” funding than previously thought. Startups tend to spend considerably more on obtaining each patent than what was previously reported. Specifically, the 2009-reported patent spending for start ups was $38,000 for each patent, which exceeded the $10,000 to $30,000 range for other patent recipients. $38,000! At that figure, Unicorn, Inc already has $1.5 million worth of patents “in the bank”! Well, those advocating against patents often use the argument that VCs want investment cash going towards development and marketing, not to patent attorneys. If funds are short, it makes sense to limit patent legal expenses so long as the VCs fully understand the possibly severe implications of not having patent protection on commercially valuable inventions, given the stringent requirements under the America Invents Act. A year passes quickly when the only thing that founders are focused on is getting product out the door. When startups finally do “get around” to patents, a year has passed since their first Instagram photo of their product “coming soon”, and they are skunked! Value … gone. OK, so I have an unfair advantage here. As a patent expert and IP Strategist, I understand how, when and why to file patent applications to advantage Unicorn, and do so. In drafting my own patents (lots of them), I increase the corporate value significantly more than my cost (because entrepreneurs work for free), so the VCs argument against establishing a strong patent position can’t apply to my company. FACT: Huge markets create fierce competition. Most business plans claim huge opportunity, but business plans almost always underestimate (or are oblivious to) future competitors sitting on huge patent portfolios, waiting for nascent start ups to develop the market. I don’t believe that many VCs buy into the notion that IP development should be one of the core objectives of any startup – right up there with MVP and other operating metrics. 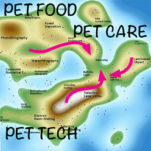 And not just for the engineering group, but across every organizational silo (engineering, marketing, biz. dev., finance, HR). 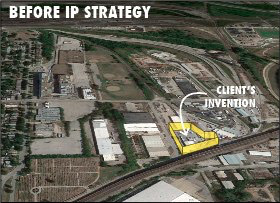 For my startups, the strategy to create a disruptive position in huge markets begins with IP development at the business plan stage – long before a company’s first product hits the market, and most certainly before venture investment. And, if the EXIT is the VC’s end game, then bet on the startups with the largest, most robust patent portfolios to yield the highest multiples. Setting aside the founders’ credentials, investment decisions typically boil down to a few fundamental metrics, among others: credible revenue forecasts, sustainable competitive advantage, and a clear exit strategy at maximum value. An investor’s patent-based due diligence can discover start ups that are best-positioned to dominate a targeted market segment, and realistically identify potential acquirers for an exit – years in advance. Just like I’ve done at Unicorn, Inc. Typically, VCs hire patent attorneys to perform expensive legal due diligence, and that type of patent analysis determines nothing about industry relevant IP strategy that protects a market position – just doesn’t. In contrast to traditional due diligence (having the interns crank the business plan through a standardized vetting process), IP-focused due diligence requires an interpretation of explicit and implicit information extracted from patent and related data. In other words, one needs to CREATE information from IP data that doesn’t inherently exist – patent landscape analysis that’s reshaped with every newly granted patent. Researching the patent landscape will identify competitors already entrenched in the technology sector, and whether or not the major patent holders are currently applying that technology to products in the startup’s targeted marketplace. When the emerging market starts throwing off enough revenue, the potential acquiring companies will begin evaluating the startup’s patent position. 1.Project possible competitive responses to the company’s products: A competent technologist can correlate those patent holdings to the start up’s planned products, and opine on whether those patent holdings pose a significant threat. This is not a legal due diligence, but rather a broad view of how “patent-dense” a targeted market is, and what companies dominate that technology domain. An Exit Strategy. Patent based due diligence identifies the obscure and non-obvious big corporations that would find your company’s patent assets a logical compliment in an acquisition. Further analysis of the patent holdings for each of them individually, such as filing dates and trends, patent volume, paints a picture of their product/market strategy. Patents are a reliable proxy to estimate their internal R&D budget to address your start up’s targeted domain. 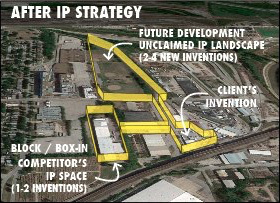 Creating an IP strategy to saturate the available IP “white space”, and not overlap “Biggie’s” technologies sets up a future high value acquisition. On the other hand, start ups with no IP, or thin and casually threatening IP disadvantages the startup. It works against exit strategy of delivering a value premium back to the startup’s stakeholders. 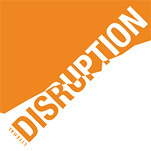 With effective IP due diligence, investors can find truly disruptive start ups. And early stage patent due diligence helps the startup founder clarify the most sustainable product-market position and path to exit. I know. I’m doing it now … again. I love it when Anand Sanwal’s newsletter hits my in box, but last week one of them became ground-zero for my own teardown of CB Insights’ teardown of hardware startup failures; “Why Do So Many Hardware Startups Fail?” Catch it here if you missed it. First, I’ll admit to a click-bait title. Perhaps accusing venture capitalists of killing their own companies is not the best idea, especially since our hardware startup is now conducting its own Seed / Series A raise. But I’m betting on finding those few investors who can recognize the durability of a company built from the Bottom-up. More on that in a moment. In this blog article, I attempt to illustrate the market-driven foundation of Unicorn, Inc., and describe why I believe it will excel where other hardware startups have failed. I was disappointed. The #1 underlying reason didn’t make the list. Even CB’s expert researchers completely missed the elephant in the room: Venture Capitalists! Seriously, capital that’s fed to an inherently disadvantaged company too often ends up as a big loss. To be fair, as CB points out, hardware companies are a different breed of animal. They are capital intensive, inventory intensive, facility intensive, and they carry a hefty Cost of Goods that scales in a direct relationship with revenue – unlike software companies in which the COG withers to near insignificance, inversely related to revenue. But some hardware companies win big, and that drives the bet. A disadvantaged hardware startup overlays that long list of hurdles with the hope of creating consumer demand rather than creating innovation that serves established consumer demand. Despite insane capitalization, most of those companies never reached the tipping point. A few years back, Wall Street Journal tech writer Christopher Mims postulated that venture capital was chasing advertising – pushing innovative products into apathetic markets, rather than backing innovation that gets pulled into a market by already established consumer demand. Enter Abraham Maslow. 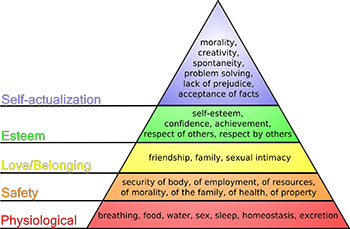 His 1943 paper “A Theory of Human Motivation” prioritized drivers of consumer demand as illustrated in the pyramidal hierarchy of human needs. Each stratum layer ascending upward from the base marks a decreased priority of needs (a “need” descends to a “want”, then merely to a “desire”). I’ve long determined that company offerings that serve the foundational stratum, Maslow’s “physiological” elements, are indeed addressing a demonstrable market demand. However, building a company around that foundation doesn’t guarantee success. High consumer demand create a large field of competitors, so pricing, quality, timing of “new and improved” innovation, sales channel, market positioning and market protection (patents) all figure into the success calculus (one reason Unicorn spent three years on IP strategy). That said, I argue that a company built around a product/market core defined by a stratum layer higher up on Maslow’s pyramid requires logarithmically increased advertising investment to overcome inherent lack of consumer demand. 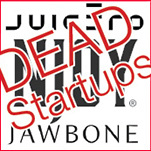 To illustrate my thesis, the mashup of CB’s “lack of market demand” data and Mim’s assertion that venture capital might be chasing advertising, I’ll perform a different kind of postmortem on Juicero. 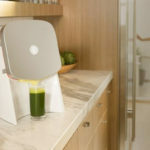 When Juicero’s product was first released, I asked myself how many consumers are demanding that a $700 “smart” juice machine the size of a 5-gallon paint bucket occupy half of their little kitchen counter (leaving no room for their “smart” coffee maker, “smart” countertop oven, Alexa, or even the dumb toaster)? My answer then is the same as today: none. I wonder if Juicero’s market research determined the average kitchen counter area in their targeted consumers homes, but I digress. Anyway, how does one product win the coveted kitchen countertop space when the consumer doesn’t care about cluttering up the counter top in the first place? With heavy investment in advertising, hoping to create hype. that’s how. But extreme advertising pushes the burn rate (CB’s #2 reason for failure) into orbit, feeding the addiction for increasingly large investment rounds. Juicero never met the threshold, and investors ultimately cut off supply to the addict. In fact, none of the dead hardware companies profiled were built from the “Bottom-Up”, built on the foundation of Maslow’s hierarchy of real needs that drive real demand – like food, water, and air. The article’s featured hardware startup fails banked on consumers’ Self-actualization and Esteem, hoping to extract discretionary dollars from thousands of Apple Pay wallets. On the other hand, the Ring® camera-in-a-doorbell is one hardware company that’s so far proving to be a winner – because it’s built around Maslow’s “Safety” stratum. Unicorn’s understanding of the “Physiological” needs of its target market drove the design of our product-service-operations matrix. Working up the pyramid, our extended offerings will meet our customer’s demand for “Safety”, creating the product/market foundation absolutely driven by consumer demand. Finally, we’ll rely on Maslow’s “Love”, “Esteem” and “Self-actualization” (emotion) strata to guide our messaging (reasonable investment in focused advertising). 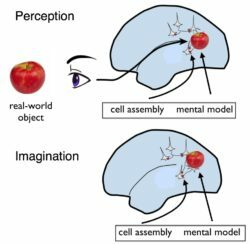 Am I smarter than the many failed hardware company founders and their enabling VCs? Check back in a few years for that answer. But as a frugal founder and student of startup history (including mine), I will say that if Unicorn fails, our epitaph won’t list any of CB Insights’ top 4 reasons. 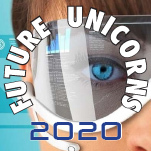 Now, back to dialing for dollars – I’ve got a future Unicorn hardware startup to get funded.